BEAUTIFUL SCROLL ENGRAVED BERETTA SPORTER, COMPLETE IN ABS CASE WITH SPARE CHOKE. THE NEW A400 SPORTER BLACK EDITION . 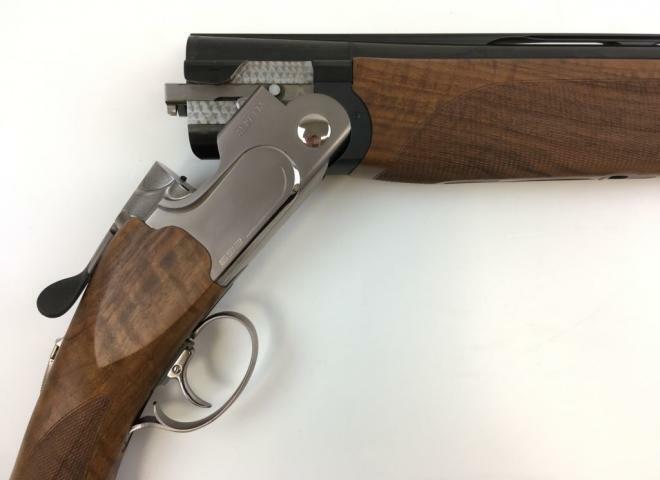 NEW...Beretta Silver Pigeon 1 Field with adjustable stock for a perfect fit in the field. This new game gun is highly adjustable and can be adjusted within minutes to suit the needs of the game shooter. This gun can be bought individually or as one of a sequential pair . Stunning Beretta EELL Field with highly intricate hand engraved game scene side plates set against lovely high grade walnut. 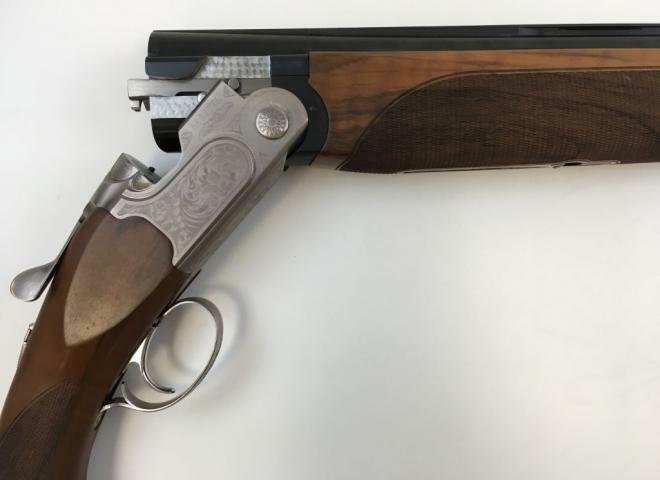 This premium grade game gun has 30" fixed choked barrels for sublime handling and balance qualities! Fixed @ 1/4 & 1/2. BASICALLY A NEW GUN. ONLY FIRED A HANDFUL OF SHOTS. HAD A COUPLE OF MARKS ON THE STOCK BUT BARELY NOTICEABLE. 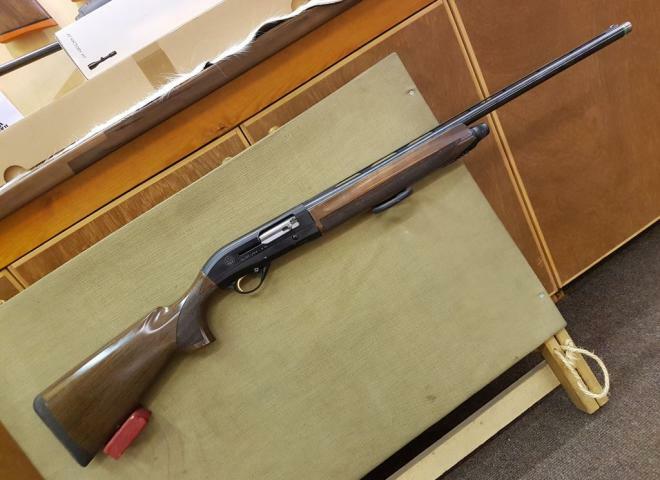 A GREAT CHOICE OF GUN FOR EITHER GAME OR CLAY PIGEONS. COMES WITH BERETTA HARD CASE AND CHOKES. 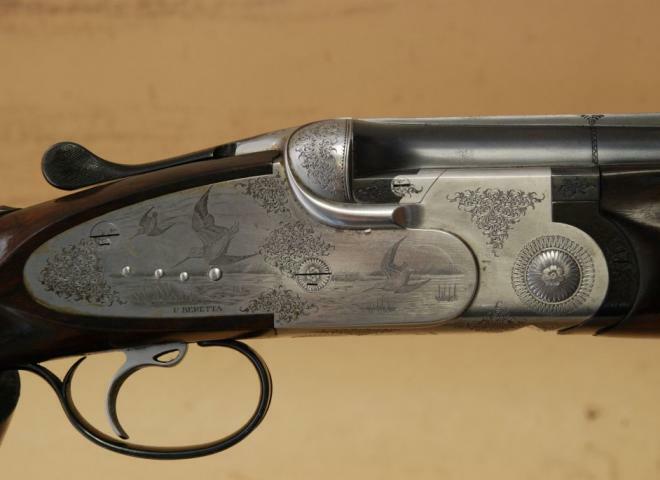 New Beretta 687 EELL an iconic over and under, side plated with game scene engraving. Multi choke with single selective trigger. Beautifully balanced, finished with ABS makers case.LEFT HANDED. New model for 2018. With stunning scroll engraved action and lovely wood work, well woth a look for the new game season. 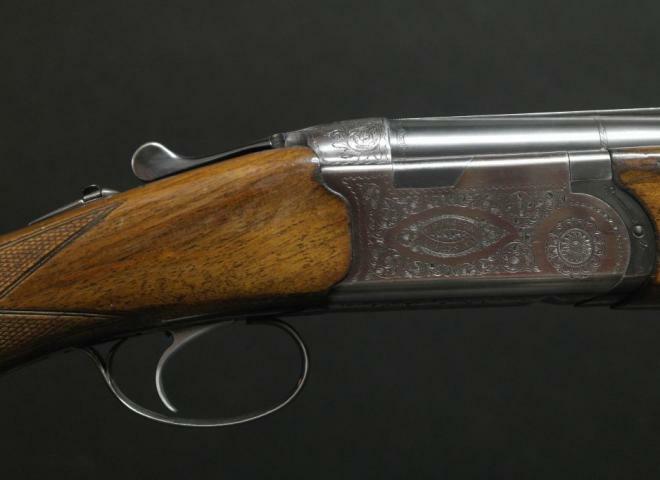 The Beretta 687 EEL is an elegant shotgun with very attractive engraving and selected high grade walnut stock and forend. This quality gun is built to last and offers a very high level of reliability. SILVER PIGEON 28BORE , .